An incident on the Promenade in Cleveleys is causing delays this morning. Part of the Promenade was shut this morning after an incident around 5.15am. 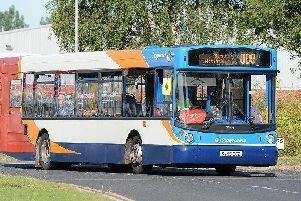 Blackpool Transport confirmed that due to the incident, the Service 7 bus from Cleveleys Bus Station will be running approximately 10 minutes late. According to Blackpool Transport, the Promenade closure only affected Service 7. The Service 7 bus from Cleveleys Bus Station is delayed this morning after an incident on the Promenade in Cleveleys.